World War II salvage site in Butte, Montana. Photo by Russell Lee, 1942. WWII poster by McClelland Barclay for War Production Board, Salvage Division, 1941–1942. Click to enlarge. 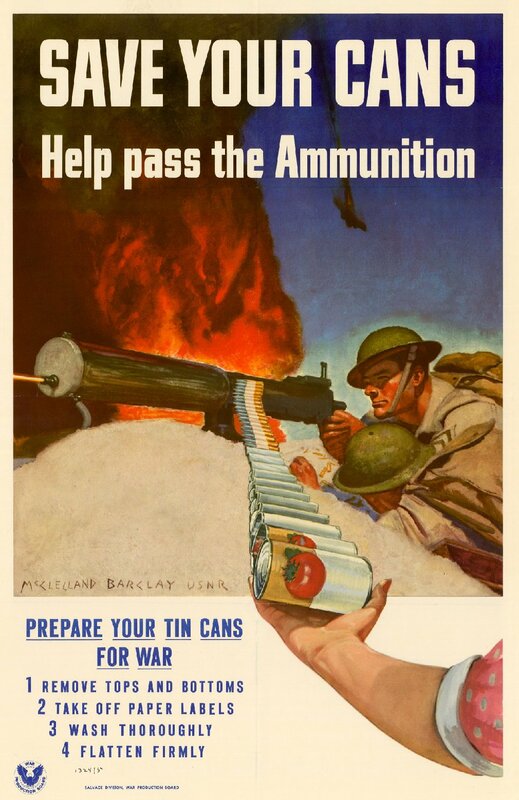 The United States was very good at recycling during World War II. It was our patriotic duty. 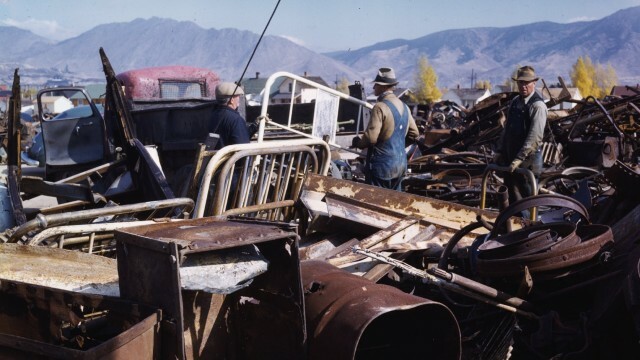 Families brought everything from scrap metal to old tires in to collection centers where they were used to make supplies for the war effort. But when the war ended, so did recycling. From the late 1940s to the early 1970s, Americans were making (and buying) things but not recycling them. We made refrigerators the size of cars and cars the size of boats. And when a product was broken, or even if it wasn’t, it was thrown away. Used cars, refrigerators, mountains of cans, and countless other household products found their way into junkyards and landfills. Now, we may want them back. Here’s why: resources, such as metals, are becoming more and more expensive. A pound of copper set you back less than a dollar in 2000. Since then, copper prices have more than tripled, reaching a high of $3.92 per pound in 2012. But other countries are there. The Belgian waste management company Group Machiels has announced plans to mine a landfill east of Brussels. Group Machiels estimates that 45 percent of the material in the landfill can be recycled, with the remainder to be converted into gas that can be used as a fuel source — calling to mind images of Doc Brown fueling his time machine in the film Back to the Future. The process, called plasmification, uses extremely high temperatures to break organic material down into a sort of synthetic version of natural gas. 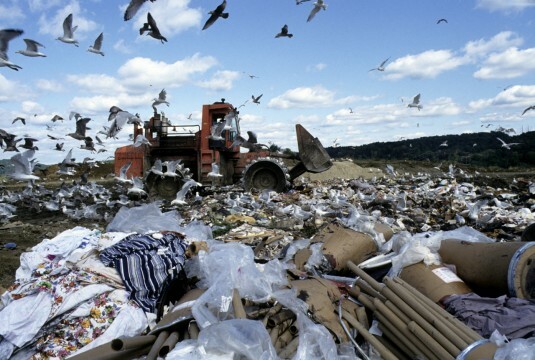 What obstacles exist to landfill mining in the United States? For one thing, many older landfill sites have been developed, making them essentially inaccessible for mining operations. 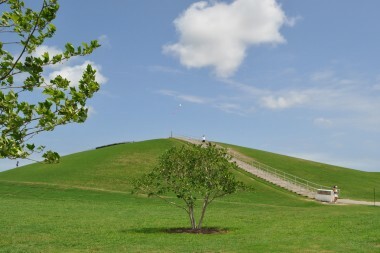 For example, in the 1970s, a landfill in Virginia Beach, Virginia was turned into a popular 165-acre recreation area called Mount Trashmore Park. Another challenge is the lack of precedent: with no federal landfill-mining laws on the books, there is uncertainty about how the process might be regulated. And companies hate uncertainty — it’s hard to plan for. And finally, as any fan of Storage Wars will tell you, there is always a risk when bidding on something sight unseen. Companies want assurance that they will turn a profit, and that depends on what exactly is buried in a landfill. If it contains a lot of metal, it might be a good investment. If it’s full of old sofas and polystyrene fast-food containers, it is more likely to lose money. And if the mining uncovers asbestos or other hazardous materials, a company could find itself saddled with the costly task of disposing of hazardous waste. The problem is that we don’t have a lot of information about what exactly is in our landfills. “It is only in recent years that accurate knowledge, and then only in broad terms, is available to assess what wastes a landfill site may contain,” according to an issue paper on landfill mining released by the International Solid Waste Association. And since those evaluation techniques are essential to estimate both profit and risk, they may need to improve before companies opt to pursue landfill mining in the United States. Of course, if the cost of metals continues to rise, some companies may decide the risk is worth it. 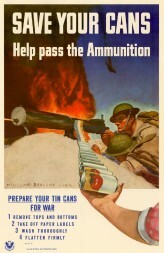 We made use of old materials in the 1940s because it was the patriotic thing to do. We may do the same in the 21st century because it is the practical thing to do. It might even be profitable, and there’s nothing more American than that. Interesting idea and one that I have thought about before. If this is to happen, there would have to be careful controls on methane emissions as many landfills generate methane and are capped to prevent this strong greenhouse gas from escaping, and some landfills generate renewable energy from landfills. Perhaps the mining of landfills would happen after all methane emissions are gone. They’d likely want to capture methane emissions anyway, since they have value as an energy source. Waiting for the emissions to disappear on their own would likely be problematic, since that would take time — time during which the materials they want to recycle would likely decay further, limiting their value. Prev Tracking Your Ecological Footprint Next Are Wetlands Nature's Best Defense Against Sea Level Rise?